"Proudly presents prestigious The Country estate. An extraordinary opportunity resides in a naturally secluded, European inspired architectural custom estate with modern contemporary interior. 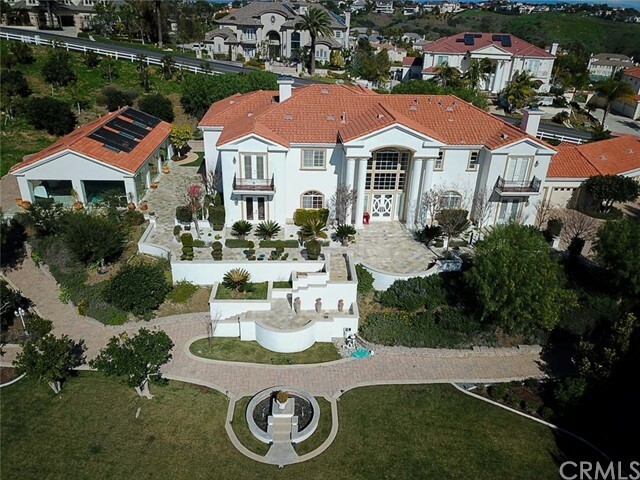 This hilltop estate countryside mansion offers 13,000 square feet of extraordinary living space with 7 bedrooms, 11 bathrooms, includes two master suites on the first level. Souring high ceiling with dramatic spiral double staircase. Gorgeous living room with fireplace entry to a"
"A Brand new upscale, quality custom mansion in the prestigious 24hrs guard gated community, The Country. High ceilings, 5 car garage, 7 BR suites, 3 powder rms, elevator, Metal & glass custom double door entry mimics the wrought iron custom railings throughout the house. European white oak hardwood floors, custom stone & tiles flown in from Spain and Light fixtures from Restoration Hardware. Natural sunlight illuminates through large windows, Central courtyard & 3 story light well that holds the"
"Located in The Country, the property sits on a beautiful 1.54 acres overlooking the mountain view. The first floor features a formal living and dining room, in-home theater, and a full laundry. Dual kitchens, including a private spice kitchen, is adjacent to the dining area. 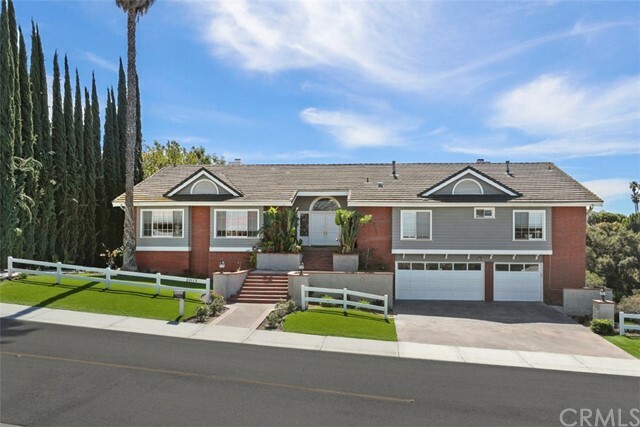 This home features 6 bedrooms, with full bathrooms and closets. The master bedroom includes a large walk-in, his-and-hers closets, a dry sauna, and dual shower heads and sinks. An in-ground massaging bathtub and bidet comple"
"Come and view this gorgeous dream home in 'The Country Estates' community. This property is in a private and 24 hour security patrol gated community and an award winning Walnut Valley Unified School District. With its approximate 1.6 acres and 69, 696 sq ft enjoy the views it has to offer such as hill, canyon and mountain views. This property features 6 full sized bedrooms and 9 bathrooms. The home has been partially remodeled which leaves abundant potential for you to customize your dream home." "Reserve Auction to be held on-site, Saturday, June 1st 2019, at 11:00 AM. Starting, Saturday, May 11th, 2019, previews/viewings every Saturday & Sunday 1:00 PM-4:00 PM, All buyers must be accompanied by a realtor in one vehicle. Private appointments available, Call for details. ONE OF THE FINEST HOMES IN THE AREA*A MASTERFUL MULTI-MILLION-DOLLAR RENOVATION HAS TURNED AN ORDINARY HOME INTO THE No EXTRAORDINARY IN 2018*A FABULOUS CONTEMPORARY HOME SITES IN 24-HR GUARD-GATED COMMUNITY OF "
"Price reduction!!! 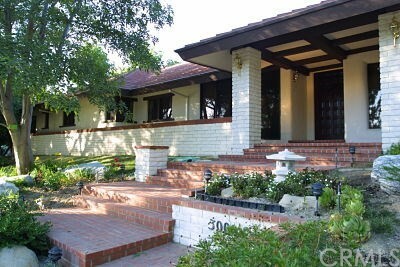 Welcome to 2823 Water Course Drive, Diamond Bar! This custom built home is located within the prestigious gated community of The Country. Upon entering the front doors flanked by dual Roman style columns, you ll notice the tall ceilings and beautiful marble floors. The kitchen features top of the line appliances and beautiful modern wood cabinetry. The family room has gorgeous wood floors accented by contemporary recessed lighting fixtures. 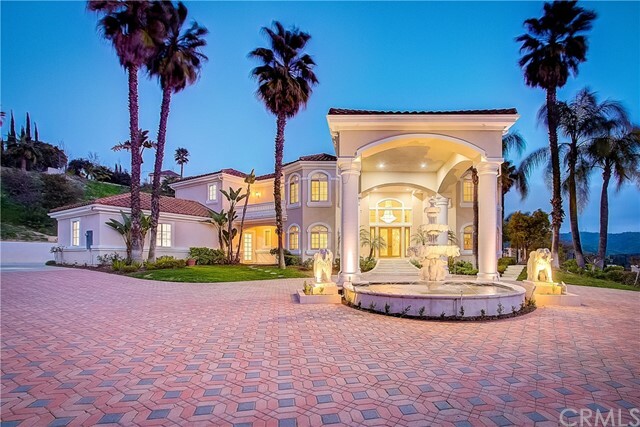 It also has a mini ba"
"Exquisite Mediterranean Style Estate!!! 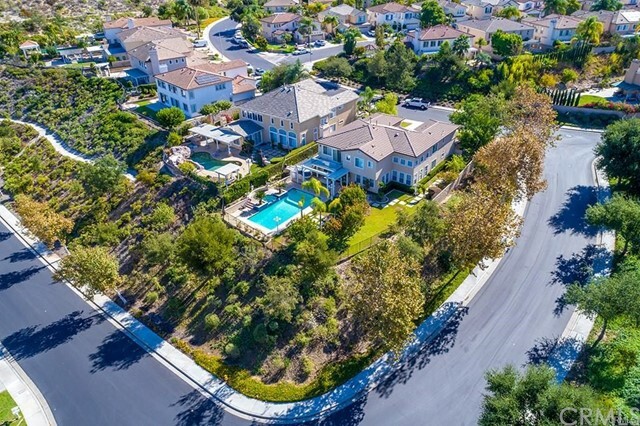 Located within The Country Estates community in Diamond Bar, this Westerly facing abode offers over 8,600 square feet of living space. The three-and-a-half acre lot overlooks the breathtaking Tonner Canyon Hills. Upon entering this fabulous property, you are greeted with a spectacular marble waterfall that was specifically designed for this space. 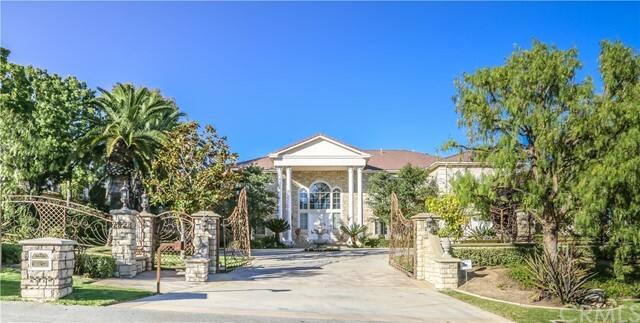 The formal foyer adorns a stunning crystal chandelier and a marble entrance, and the elegant formal living roo"
"Amazing custom showcase home located in the prestigious 24 hours guard gated community The Country in the most desirable neighborhood of Diamond Bar. 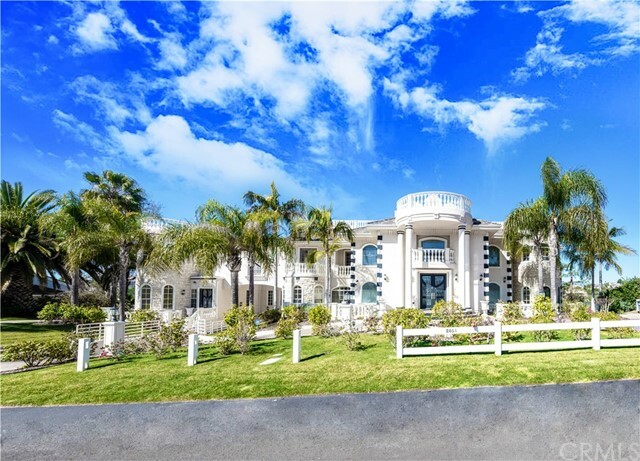 This elegant Mediterranean estate offers 5 exquisite bedroom suites, eight bathrooms, and everything you need to entertain with luxury. Enriching architectural features inside include extra high ceilings, high quality materials in all cabinetry and countertops, and dozens of large windows. An amazing family room features a comfy fireplace, built-in"
"Diamond Bar guard gated The Country luxurious French style custom estates. This home has total 5 suite bedrooms and a library.Total 9 of the resort style Canary Island palms surround this gorgeous house. Directly in front of the entry is the formal living room with grand fireplace and 24 plus ceilings. Upstairs have a huge master with sitting area with en suite bath and a two-story walk-in closet and two more ample bedrooms, all en suite.All around windows make this house special"
"Newly built Tuscan style luxury home in prestigious gated The Country Estates awaits you. 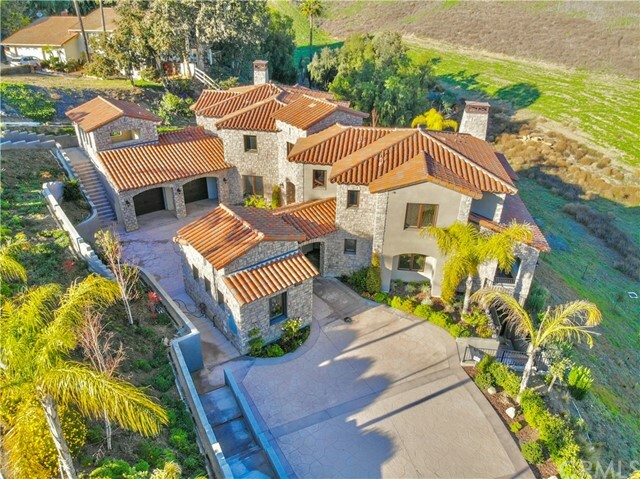 This property is situated on spectacular panoramic rolling hills canyon that will take your breath away. Upon entering the dramatic custom designed double steel doors that lead to a stunning grand foyer with luxurious chandelier. You will be in awe of the marble style tile, high quality hardwood floors, upgraded carpet, and exquisite crown molding throughout. Entertain your frien"
"GUARD GATED ESTATES OF THE COUNTRY. RESORT STYLE LIVING. PLAY TENNIS, SWIM OR ENTERTAIN BY THE POOL, CASITA. THROW A PARTY THIS HOME HAS IT ALL. YOU WON'T WANT TO MISS THE FABULOUS REMODEL AND CUSTOM DESIGNED APPOINTMENTS. FROM THE PORCLAIN TILE CUSTOM ENTRYWAY, LIVING ROOM AND NEW WINDOW TREATMENTS, BEAUTIFUL STAIRWAY, W IMPORTED LAVA STONE, THE NEW, WET BAR APPOINTMENTS FINISHED IN STUNNING GRANITE AND HAMMERED METAL SINK, THE ESQUISITE POOL AND SPA, REMODEL WITH BEAUTIFUL DICHROIC GLASS TILE "
"From the moment you arrive, you will fall in love with this spectacular mansion nestled in Diamond Bar's prestigious The Country Estates, one of Southern California's premier and safe residential communities with 24-hour guard-gated entrance and security with continuous vehicle patrols. 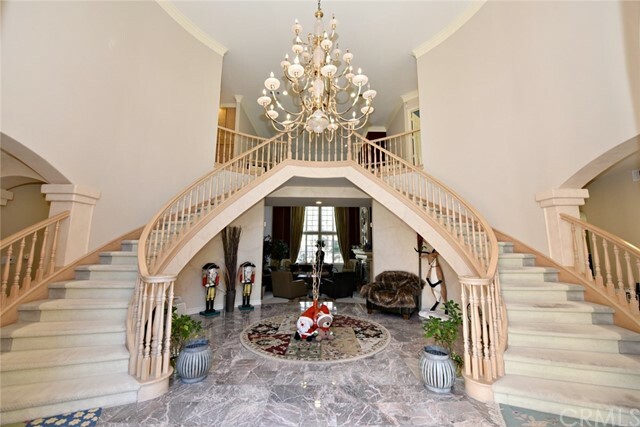 A majestic foyer with a curving staircase welcomes you into the home. A spacious kitchen with a large island and breakfast nook opens to the family room and dining areas, making entertaining friends and family a "
"Very well priced English Tudor Estate. Panoramic Views of the Mountains and City Lights. Great view from most windows and french doors. Located in 24 hours guard gated community The Country. Beautiful designs throughout, has been majorly remodeled in 2014. Double door, custom marbled entryway w/high ceilings, chandelier, french doors, crown molding, gorgeous marble & hardwood flooring. 6BR 6BA (3 suites), 3 fireplaces. 1BR 2BA + study room downstairs. Formal living room with fireplace. Formal di"
"Unique opportunity to own a private estate in the prestigious of guard-gated community The Country Estates An inviting front porch with double door leads guest to a cozy open floor plan featuring a beautiful spiral staircase. The sprawling first level includes a formal living room, formal dinning room and an immense, open-concept main living area incorporating the chef's kitchen with family room and fireplace. A sliding door leads to a private patio feature serene city lights and canyon views. " "This gorgeous Tudor Estate is located within the prestigious gated Country Estates' on a huge lot high in the hills with spectacular city lights views. 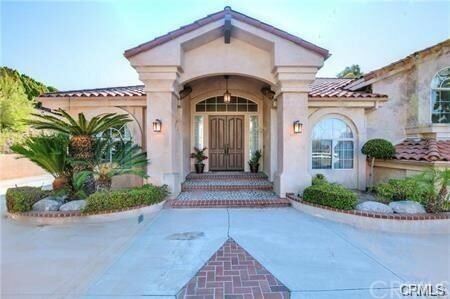 Entry features a circular driveway with a 4 car garage and lovely landscaped front yard. The 7,005 sq. ft. home offers double door formal entry, high vaulted ceilings, five bedrooms, three and half bathrooms, with one additional bedroom & bathroom in the garage, spectacular living & family rooms with fireplaces, separate formal dini"
"One of a Kind Custom Built Victorian Style. High top hill with overlooking panoramic canyon and mountain view. Nestled in a high desirable location with 24 Hr. guard gated in The Country Estates: with 64, 468 SQFT Lot. Private long driveway entrance with very big frontage, lots of parking space for guest. Parking leads to iconic castle, front door leads to gorgeous foyer with marble entry and beautiful chandelier. Open living room has fireplace and custom window draperies. Formal Dining room. Ki"
"Gorgeous cape cod style estate nestled in a private cul-de-sac located in The Country Estates . Wonderful estate offers beautiful high ceilings and amazing natural lighting throughout the home. Situated in an incredible location with fantastic surroundings and views of mountains, green rolling hills, and serene nature. Newer marble flooring throughout, bathroom countertops, windows, paint, and 2 brand new ACs. Kitchen offers wood cabinetry, sub-zero refrigerator, and g"
"NEWLY REMODELED beautiful custom Mediterranean Hacienda on over 1.5 acres in the exclusive THE COUNTRY ESTATES. No through-traffic location w/views of gentle rolling hills & mountains. Shows like a model, spotless, & move-in ready. Open floor plan: recessed lighting, copper sinks, solid oak cabinetry, high ceilings, oil rubbed bronze fixtures, original Dale Tiffany lighting (including the museum collections),textured porcelain tile, new hand scraped hickory engineered wood flooring & luxurious T"
"For one of the finest custom-built homes on almost a half of acre lot, look no further! 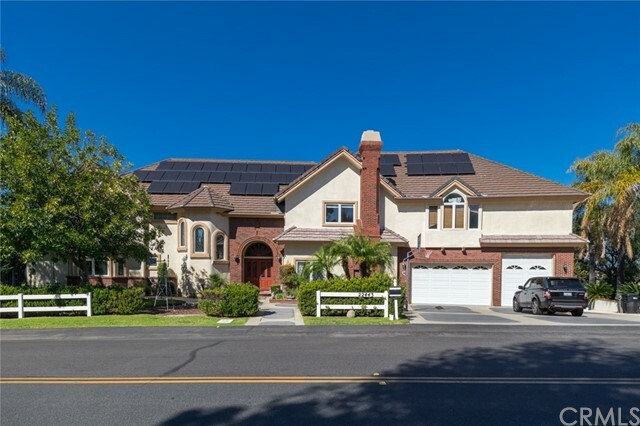 This Luxurious home located in a desirable community, the surrounding panoramic views are breathtaking includes San Gabriel mountain view, Gorgeous sunsets and city lights. 5 Bedrooms, 5.5 Bathrooms, 3 car garages, 2 balconies, 2 fireplaces, two master bedrooms (upstairs and downstairs), the downstairs master bedroom with a huge bathroom, separate walk-in closet, dual sinks; A cute Tatami room has an own bath"
"This two-story contemporary French style home has been completely remodeled with every upgrade imaginable! 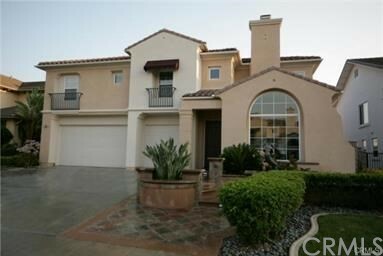 The 7 bedrooms, 5 bathrooms property has an open floor plan flooded with natural light and 20 ceilings. The gourmet kitchen includes all top of the line THERMADOR appliances, a large granite island and countertops, and upgraded maple cabinets. Family Movie theater. With details such as a motorized chandelier, recessed lighting throughout, Hunter Douglas remote controlled win"
"VIEW!!! 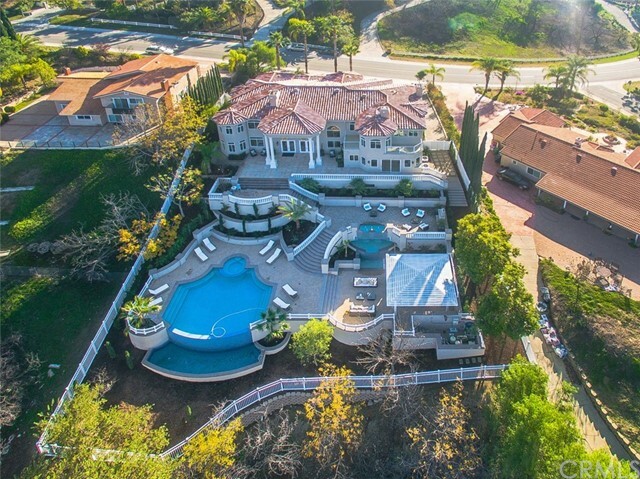 - Sophisticated Spanish Villa in Prestigious The Country Estate , a multimillion-dollar estate in City of Diamond Bar with 24/7 gates security. The property is located in a walking distance to the country club, community pool, basketball court and tennis courts. 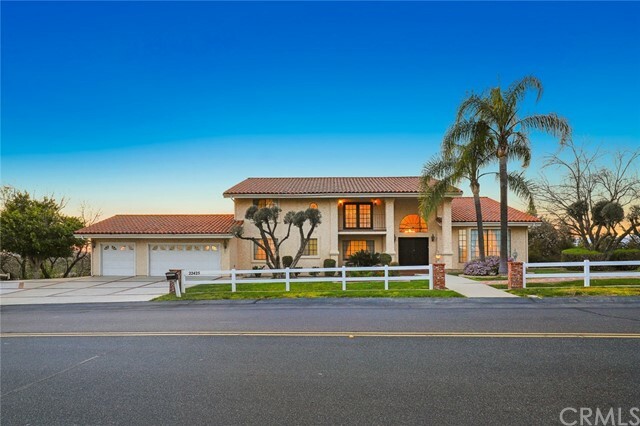 This newly upgraded home features proximately 4811 living space in a 2.42 acres lot (according LA county assessor record), five spacious bedrooms and three bathrooms. Breathtaking panoramic city lights "
"PRESTIGIOUS DIAMOND HILL 24 HR GUARD GATED COMMUNITY. BEAUTIFUL 180 DEGREE CITY LIGHTS VIEW. NICE AND PROFESSIONAL LANDSCAPED FRONT & BACK YARD W/ PATIO, LYNX DOUBLE BURNER B.B.Q. ( with outdoor Refrigerator), 6 BED 4 BATH+ LIBRARY & GAME ROOM (2 BR 1 BA DWNSTRS). CERAMIC TILE ENTRY . LIGHTING LEADS TO LIVING ROOM W/ FIREPLACE. FORMAL DINING/R W/ DESIGNER LIGHTS, OPEN . SPACIOUS FAMILY ROOM HAS CUSTOM DESIGNED BUILT- IN ENTERTAINMENT CENTER,4 SURROUND SOUND SPEAKER & 2ND FIREPLACE. GOURMET KITCH"
"Beautiful custom home located in the exclusive 24-hour guard gated 'Country Estates'. This home has newer paint, plantation shutters, custom tile flooring, and dark oak laminated wood and hardwood flooring with baseboards found throughout the home. The double door entry and conveniently embedded ceiling lights provide additional lighting. The elegant living room has a fireplace, and a view of the backyard. Spacious formal dining room with a gorgeous chandelier is equipped with recessed lighting "